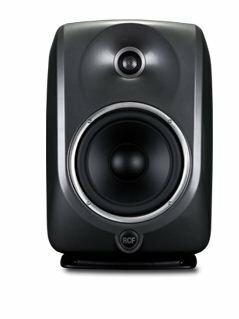 MYTHO 8 is a two-way reference studio monitor equipped with two separate AB amplifiers - 200 W for the low frequencies and 100 W for the high - unparalleled for low distortion and natural sound. It features a high quality large metal dome tweeter for the best vocal reproduction and a 8” neodymium vented woofer with a large sized 51 mm voice coil that guarantees very high energy for tight and controlled bass reproduction and perfect thermal stability with minimum power compression. The magnetic circuit features a special air ventilation to reduce air compression, air noises and minimize distortion in large excursion situations. Thanks to the deeper low frequencies reproduced by its 8” woofer, the MYTHO 8 is perfect for medium to large control rooms. A dedicated high quality DSP is provided on board. The cabinet is made in aluminium, internally braced and reinforced to improve low frequencies behaviour and reduce resonances.